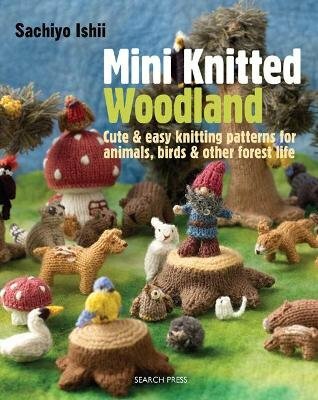 Knitters of all skill levels will love to make this charming, fun mini woodland scene. Sachiyo Ishii has created 28 delightful mini knitted creatures along with a forest floor play mat, mushrooms, trees, treestumps and a gnome with a toadstool house to complete the scene. The animals only require small amounts of readily available yarn. They are easy to knit, and follow one of two basic sewing-up techniques, both of which are clearly shown using step-by-step photography. There are clear, simple knitting patterns and step-by-step photographs and instructions for all the other techniques, including the stuffing methods and the embroidery needed for the features and details. Simple crochet instructions are given as well, for optional crochet elements within the book, such as treestumps and ponds for the forest floor.